New Delhi, February 1: The Indian Coast Guard (ICG) is celebrating its 42nd Raising Day, ICG is the 4th and armed force of India protects India's maritime interests and enforces maritime law, with jurisdiction over the territorial waters of India, including its contiguous zone and exclusive economic zone. Defence Minister Nirmala Sitharaman conveys her wishes & appreciation to India Coast Guard on the successful completion of 42 glorious years dedicated in the service of Nation. She further said in her message, forever in operations, men & women of ICG have always done the Nation proud. May you grow from Strength to Strength. “All ranks and families of Indian Navy join me in extending our Greetings to all ranks and families of @IndiaCoastGuard on their Raising Day” tweeted Admiral Sunil Lanba Chief of the Naval Staff. 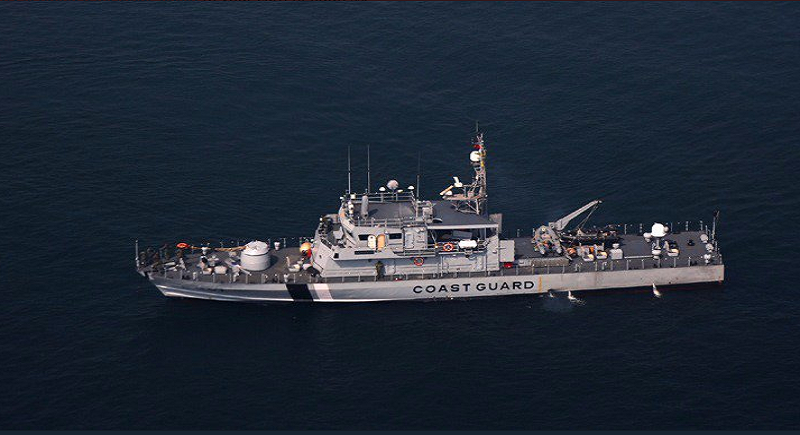 Indian Coast Guard Ship in coordination with Coast Guard Aircraft rescued 13 crew on board a disabled fishing vessel from Kanyakumari which was stranded 205 nautical miles at sea off Maharashtra Coast due to Engine failure since 28th Jan. All crew safe Vessel towed to Kochi. The establishment of the Indian Coast Guard was first proposed by the Indian Navy to provide non-military maritime services to the nation. 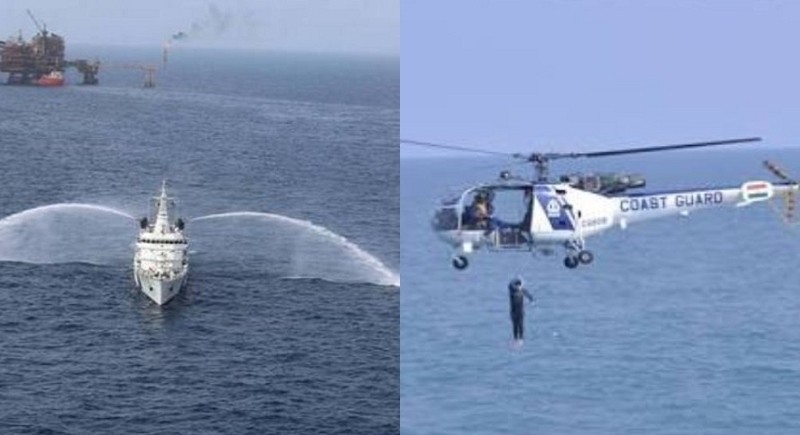 The Indian Coast Guard's motto is "वयम रक्षामः" (Vayam Rakshamah), which means "We Protect".